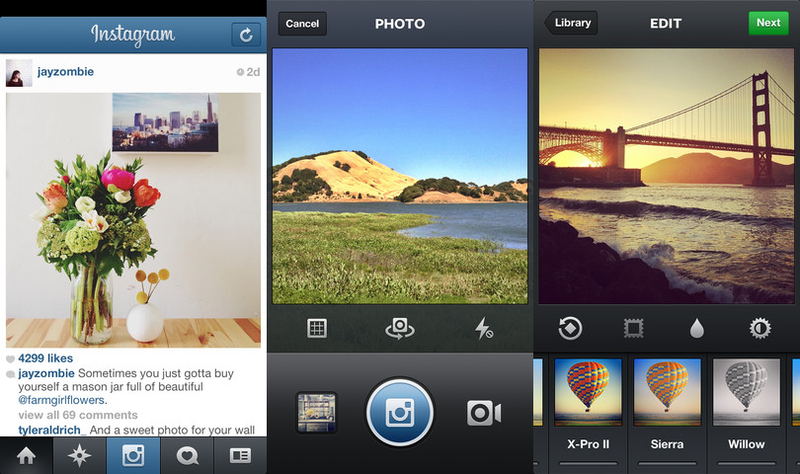 Instagram today updated its iOS app with minor but important changes and improvements. You can download the new version now directly from Apple’s App Store. Instagram can now handle landscape orientation properly, both when taking photos and recording videos. This was an issue from the very beginning, when Instagram launched video support back in June. Now that it’s fixed, Instagram can move on to other bugs as well as new features. One of those is Cinema support for front-facing cameras, also available in this release. Cinama is the stabilization feature that Instagram is attempting to use as a means of separating itself from the video app competition. As we noted upon launch, however, YouTube’s Capture app has a similar capability. Take photos or record video holding the Instagram camera in landscape orientation. Support for Cinema using front-facing cameras. All in all, this is a small update, especially when compared to what Vine released two days ago, also for iOS. In both cases, however, Apple’s mobile platform is still getting first treatment; Android support is certainly there, but still lags slightly behind. Whichever, Facebook or Twitter, takes Google’s platform more seriously could end up winning in this space.